This Sears Elmwood was built in 1917. It has had both the front porch and sleeping porch enclosed but otherwise looks much as it did when it was first built. It still retains the original tapered columns and much of the original trim work. The architect of the Elmwood is William Arthur Bennett. 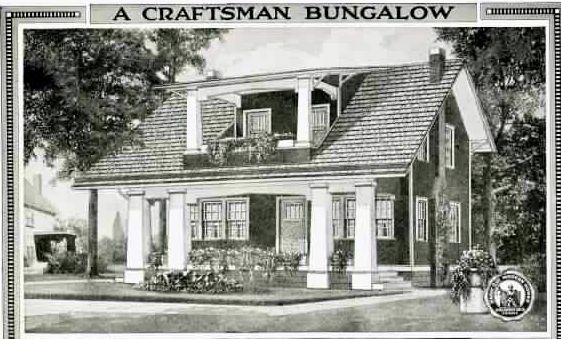 The house was built in Glenview Park for Susan Junge and her two nieces. After Susan's death, the house was moved to its current location on Park Lane in 1939. The Elmwood jacked up in 1939. The Headsten family bought the house after it was moved. They owned it until 2010. The third owners listed the Elmwood for sale as a teardown in 2015, but no one purchased it and it was taken off the market. This property may still be endangered.